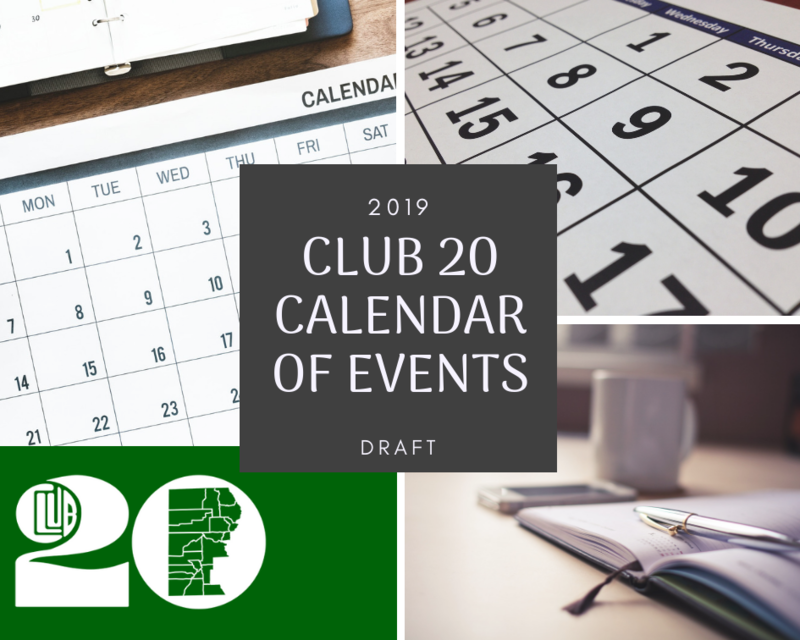 Mark your calendar for the Club 20 events scheduled in 2019! Club 20 will kick off 2019 with a Joint Legislative Trip to Denver towards the end of January. Winter Policy Committee Meetings will commence at the end of February and carry over into March. The Spring Conference will take place in Grand Junction in April. The Washington DC Fly-In is scheduled for May 21-23. Summer Policy Committee Meetings will take place in beautiful Aspen AND Pagosa Springs in July. The Club 20 staff is currently still researching for a location in Grand Junction for the Fall Conference, currently scheduled for September 20-21, and will keep you posted! County Caucus Elections for Board of Directors will take place in fall 2019 for the following counties: Delta, Eagle, Grand, Hinsdale, Lake, Mesa, Montezuma, Ouray, Rio Blanco, San Juan, and Summit. Visit the PDF version of the 2019 Club 20 Calendar by clicking here. Visit the PDF version of the 2019 Policy Committee Calendar of Events by clicking here.